Gifts to customers of the products or services you normally sell are tax allowable, as long as you are not in the food business. Small promotional gifts of any item are also treated as tax allowable for your business if they cost less than £50 each and carry a clear advertisement for the business. However, you cannot get income tax or corporation tax relief for the cost of gifts of food, drink, tobacco and gift tokens of any value. 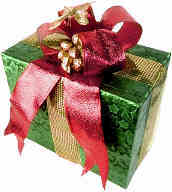 A number of gifts worth more than £50 in total should not be made to the same person in any 12 month period. If you are VAT registered you can reclaim the VAT on small gifts that cost up to £50 each, including gifts comprising of tobacco and alcohol. If the gift cost more than £50 (net of VAT) you must account for the VAT on the item as if you had sold it at cost. Gifts to your staff are tax allowable, but your employees could be taxed on the value of the gift as a benefit in kind. In that case you would also have to pay Class 1A NI on the value of those gifts. The Taxman does consider some small items to be trivial benefits, which can be given as tax-free gifts to staff members. Trivial items can include seasonal gifts such as a turkey, an ordinary bottle of wine (not fine vintage or champagne), or a box of chocolates.